Explanation: Spooky shapes seem to haunt this starry expanse, drifting through the night in the royal constellation Cepheus. Of course, the shapes are cosmic dust clouds faintly visible in dimly reflected starlight. 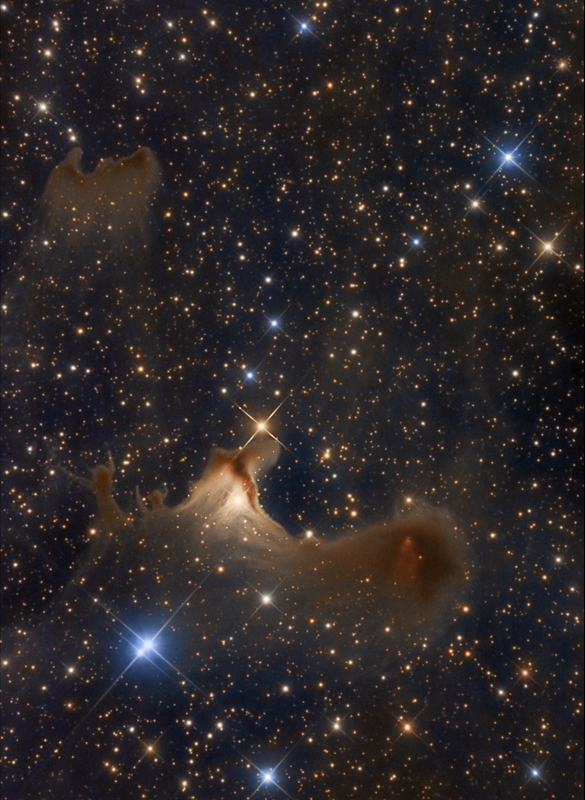 Far from your own neighborhood on planet Earth, they lurk at the edge of the Cepheus Flare molecular cloud complex some 1,200 light-years away. 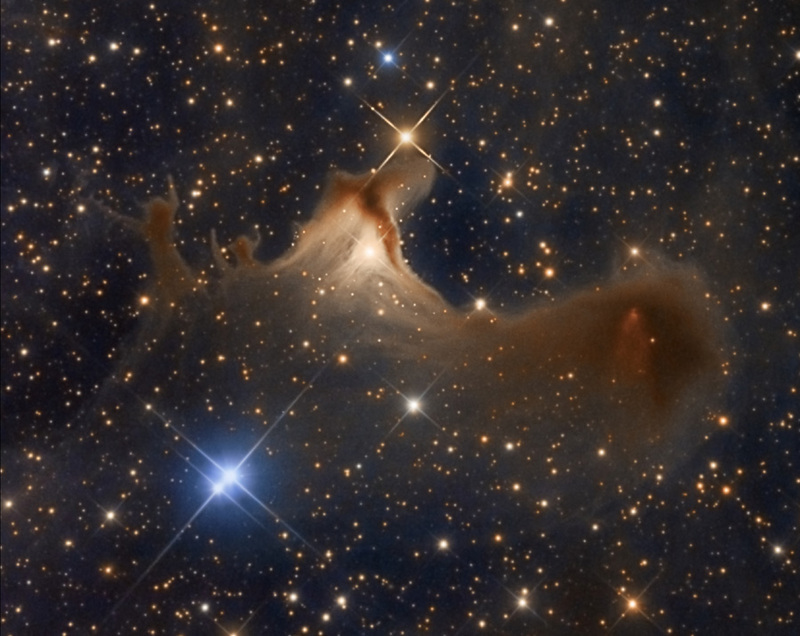 Over 2 light-years across the ghostly nebula known as vdB 141 or Sh2-136 is near the center of the field. The core of the dark cloud on the right is collapsing and is likely a binary star system in the early stages of formation.